If you've been diagnosed with narcolepsy, you'll be interested to learn there are well-known people who also suffer from the condition. More people have narcolepsy than you might suspect. Estimates suggest that only one out of every four people who have narcolepsy have received a diagnosis. Statistics indicate that the sleeping disorder affects as many as 200,000 people in the United States and approximately three million people around the world. Narcolepsy, also known as sleeping sickness, results from the inability of a person's brain to regulate sleeping and waking cycles. The most obvious symptom of narcolepsy is excessive daytime sleepiness (EDS). A person who has narcolepsy feels sleepy during the day and will often doze off. Sometimes the person will sleep for only a few seconds, but other times, she might sleep for an hour or more. People affected by the disorder might also have additional strange and bewildering symptoms. Cataplexy is a sudden weakening of a person's muscle tone. Without muscle tone, people go limp and cannot stand up or move. Sleep Paralysis is a temporary lack of ability to speak or move while waking up or falling asleep. Hypnagogic hallucinations are vivid visual or auditory experiences that occur while waking up or falling asleep. Automatic Behavior is the ability to perform everyday actions, such as getting food or drink while asleep. There are people from history who are thought to have been narcoleptic, but actual neurological diagnoses are missing. Since these people have passed away, diagnoses won't be forthcoming, but their words, actions, or life circumstances indicate a possible struggle with the sleep disorder. 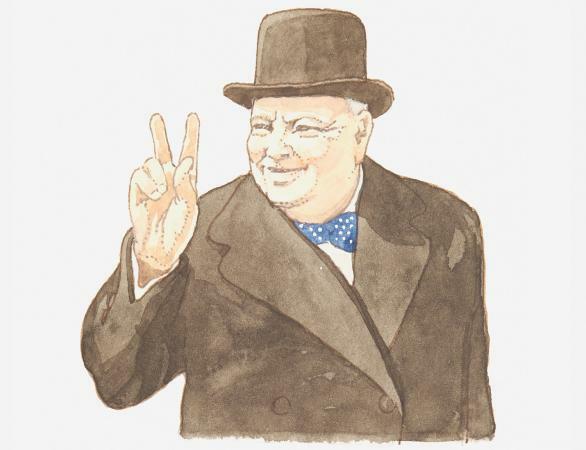 Winston Churchill, the former British Prime Minister, liked to joke about how people should always "sleep sometime between lunch and dinner." Thomas Edison, the inventor of the light bulb, was photographed sleeping in his laboratory. 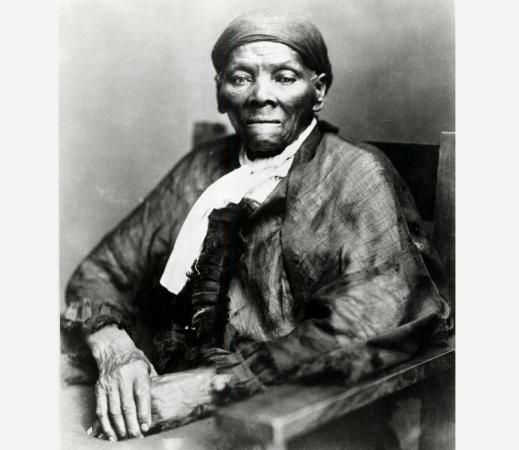 Harriet Tubman, the abolitionist who helped many slaves to freedom, is thought to have suffered from narcolepsy as a result of a head injury. Louis Braille, creator of the reading system for the blind known as Braille, might have had narcolepsy. Kurt Cobain, lead singer of the band Nirvana, claimed in an interview he suffered from narcolepsy, but his neurological condition wasn't diagnosed, or at least the diagnosis wasn't revealed to the public. Quite a few famous people have received neurologically confirmed diagnoses of narcolepsy. Most have either written about their condition or spoken about it in public. Jimmy Kimmel is a popular American comedian and television show personality. As co-host of The Man Show, he became a household name. After leaving The Man Show, he began hosting Jimmy Kimmel Live!. He gave an interview in 2003 with Esquire in which he states: "Truth be told, I'd rather have narcolepsy than not have it. When I get on a flight to Vegas, I'll fall asleep before the plane takes off and wake up after it's landed." Harold M. Ickes, former White House Chief of Staff during Bill Clinton's administration, was often referred to as Clinton's garbage man, the person who cleaned up the President's messes. A graduate of Stanford University and later of Columbia's Law School, Ickes was involved in Hillary Clinton's senate campaign in 2000. His father, Harold L. Ickes, was Secretary of the Interior during Franklin D. Roosevelt's tenure as President. In addition to being a narcoleptic, Harold M. Ickes was a civil rights activist and inspired the character of Howard Fergerson in the film Primary Colors. Bouyer was a professional French cyclist from 1995 to 2013. His narcolepsy derailed his career for several years. He kept his condition under control with modafinil, a drug that is banned for use by professional athletes. In 2004, the International Cycling Union ruled that Bouyer couldn't use the drug despite not being able to function physically without it. Legal battles ensued for the next several years. In 2008, he was prescribed a new medication which isn't on the list of banned substances, so he was able to resume his training. During his career, Bouyer won three major cycling events in France: the Tour de Limousin, the Tour de Vendée, and the Paris-Camembert. Lenny Bruce was a stand-up comedian in America who gained both fame and notoriety in the 1960's. He took Benzedrine to treat his narcolepsy, but unfortunately, he became addicted to the drug. Many people revered Bruce's work, but others accused him of obscenity. Bruce also had legal troubles because of a scheme he cooked up. He reportedly raised $8,000 for a charity and sent the charity only $2,500 of it, keeping the rest for himself. Lenny Bruce's fame lives on, immortalized by references such as Jonathan Larson's mention of his name in Rent's first act finale, La Vie Boheme. Nicole Jeray has been a professional golfer since 1993 and has accumulated an impressive number of accomplishments over the years, such as winning the Aurora Healthcare Futures Classic in 1997 and the Thailand Ladies Open in 2002. She has regularly placed in Ladies Professional Golf Association (LGPA) Final Qualifying Tournaments. Writing candidly about her narcolepsy, Nicole refers to it as a major concern in her daily life. She takes three medications to control the disorder and adheres to lifestyle adjustments such as drinking plenty of water, not eating too many carbohydrates, and taking naps prior to physically demanding activities. Nastassja Kinski is a German actress who has received critical acclaim in the United States and Europe, with over sixty films to her credit. As a teenager, she was discovered by Roman Polanski, who encouraged her to study acting. Her most famous films include Tess, released in 1979, Cat People, released in 1982, and Paris, Texas, released in 1984. 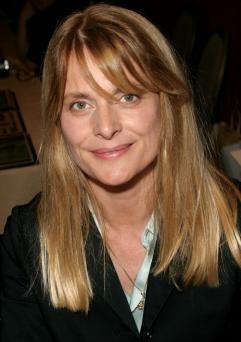 She is the daughter of actor and director Klaus Kinski. Nastassja has spoken about her struggles with narcolepsy and how people wrongly assume she's a party girl because she often passes out due to fatigue. Arthur Lowe, who passed away in 1982, was a British actor who is best known for playing Captain Mainwaring in the comedy Dad's Army from 1968 to 1977. For his performance in the film O Lucky Man!, he won a British Academy of Film and Television Arts (BAFTA) Award for Best Supporting Actor. Following the success of Dad's Army, Arthur Lowe was in great demand and appeared in additional comedies and more than 100 television ads. Arthur Lowe developed narcolepsy during the latter years he worked on Dad's Army. He not only dozed off between takes, but his wife also made him stop driving because he would fall asleep at the wheel. Teresa Nielsen Hayden is a science fiction essayist and editor who works as consulting editor for Tor Books. She has received five nominations for the Hugo Award and nine nominations for the Locus Award. In 2008, she wrote a description of what it's like to have narcolepsy. She describes the importance of developing coping strategies, such as bracing yourself when you're in the process of standing or sitting. After her diagnosis, Teresa had to figure out new methods for doing her work as a writer. Given her literary accomplishments, they have served her very well. Many narcoleptics aren't aware that they have the condition. Jimmy Kimmel had only recently been diagnosed with narcolepsy when he was interviewed about it for Esquire. Therefore, it must be the case that there are plenty more famous people out there who have the sleeping sickness, just like there are more than a few average Americans walking around wondering why they fall asleep at work or at the dinner table.